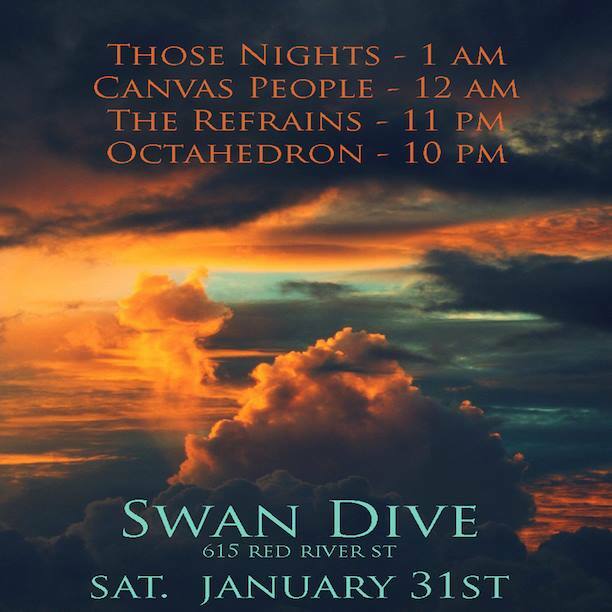 You can find us in Austin, TX at Swan Dive. At 10PM we kick off an evening of great original music. We’re excited to share the stage with Those Nights, The Refrains, and Canvas People. Purchase tickets online here and get more info about tonight’s show here.